Not all yoga classes in London are created equal and it’s likely you’re going to have to do bit of legwork before you find a class that you like. The good news is that London has loads of yoga classes for you to try. Do you want to get in touch with your spiritual side or just have a good old stretch? Want to relax and chill out or work hard and break out a sweat? Yoga takes on lots of different forms, even before you throw in the personal differences that each teacher brings with them. If you’re completely new to yoga, don’t be put off from attending a class by thinking that you won’t know the moves - just tell the instructor it’s your first time and get there early so you can position your yoga mat where you can get a good view of what they’re doing. A good instructor will give easier options for the more difficult positions and they’ll come and correct your position from time to time to help you get the hang of things. If you’re already a member of a gym or there’s one near you, the chances are they’ll offer some sort of yoga class as part of their timetable. These are most likely to be Vinyasa or flow yoga (in time with your breathing) and Ashtanga (more athletic vigorous poses). 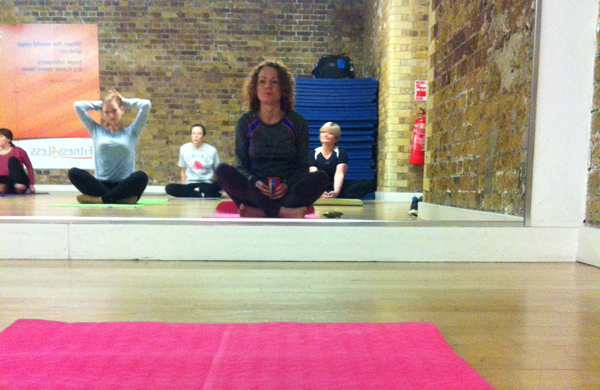 This is a good place to start and will be one of your cheapest options for a yoga class in London. For an even cheaper option, brands like Lululemon often put on free classes. Drop by one of their showrooms in Islington, Covent Garden or Richmond and pick up some yoga gear while you’re there. There are also plenty of yoga studios in London that offer a variety of different classes and teachers all under one roof. Good Vibes (studios in Covent Garden and Fitzrovia) for example offers beginner-friendly foundation classes up to more challenging yoga and even candlelit classes. Bikram yoga was developed by Bikram Choudhury who was born in Calcutta in 1946 and consists of a series of 26 postures (asanas) carried out in a heated room. The room is heated and will feel uncomfortable at first. You’re advised to wear as little as possible (modesty allowing - check the studio etiquette for what’s acceptable first) because you’re going to sweat a lot, and take a large bottle of water along with you. It’s not for everyone, but those who like it rave about its benefits. Hot Bikram Yoga have studios in Balham, Fulham and London Bridge. If you’re not quite ready for the full Bikram experience, hot yoga or heated yoga is exactly as it’s described - yoga in a heated environment. The theory is that the heat helps the body by warming the muscles and aiding flexibility while also making the heart work a little harder. It’s also a nice option in the depths of winter when it’s really cold outside. 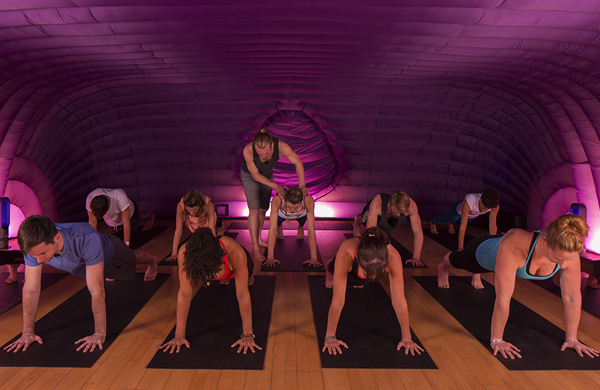 Hot Pod Yoga have regular classes Brixton, Notting Hill and Hackney in their ‘Pods’ - portable heated studios. If all that’s a bit pedestrian for you, how about hanging upside down from the ceiling while you make some yoga shapes? Anti Gravity Yoga uses gravity to do the hard work of deepening your stretch and can apparently help make you a bit taller. Check out all our deals for yoga in London.